Check Point : Digitally Remastered. Enhanced CD 'California Love Music Video'. 하드커버(아웃케이스)와 가사번역 책자 있습니다. 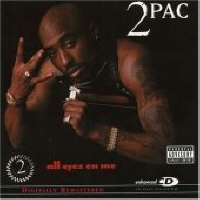 다른 고객님들을 위하여 2pac/All Eyez On Me/CD3017의 평가를 해주시겠습니까?